Smart To Stay At VCU? 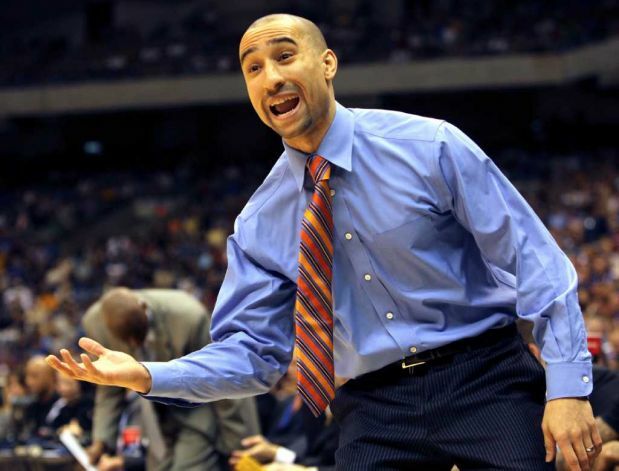 On Wednesday, Shaka Smart informed ESPN.COM via text message that he would be remain the head coach at VCU. The University also issued a statement announcing that changes are being finalized to Smart’s contract. These developments come as a major disappointment to the UCLA Bruins and their fan base, as the Bruins had hoped to lure Smart to Westwood to become to be their next men’s basketball head coach. Many Bruin fans are asking themselves: Was Shaka Smart sniffing glue??? How can someone turn down the head coaching job at UCLA in favor of VCU??? Unfortunately for Bruins fans, they might need a reality check on what it really means to be the Head Coach of the UCLA mens basketball team. Of course Smart would probably double his current $1.4 million salary by coaching UCLA instead of VCU. Of course Smart would be coaching a much more prestigious college basketball name with great tradition in UCLA than VCU. And of course he would be living in glamorous Southern California, as opposed to the dumps of Richmond, Virginia. However, with all those advantages comes tremendous pressure and expectations that may be difficult to live up to. The Bruins just fired Ben Howland, who made it to 3 final fours, won 4 conference regular season titles, two conference tournament titles, and had an overall record of 230-105 during his 10 year tenure. To put it in perspective, no other Pac-12 team has made it to the Final Four in the last 10 years, while Howland has done it 3 times! That in itself is a lofty standard to exceed, let alone live up to, for a coach in his 4th year in a mid-major conference. In 4 years, Smart’s team has made it to one Final Four, but has never won his conference regular season title, and they were eliminated in the third round of the tournament the last two years. By UCLA standards, this would already have many of the Bruins donors and influential alumni concerned, and making calls to Dan Guerrero complaining this isn’t good enough. By no means is this article intended to diminish what Smart has accomplished at VCU. Instead, it is intended to show how easily he could turn down the UCLA job based off what he might feel are unrealistic expectations. At VCU, Smart has already begun to build great basketball tradition, and is building legendary status with the athletic department and the fans. In Westwood, he has to follow in the footsteps of the greatest coach of all time, and one of the most accomplished college coaches in the last 10 years. It isn’t wrong for the Bruins to have aspirations of winning the Pac 12 every year, and being in contention for a national title. The Duke and Kansas men’s basketball programs are faced with the same lofty expectations year in and year out, and are able to re-load their teams without even blinking. However, there are only a special group of coaches who will be able to run these type of programs. Rick Pitino? Billy Donovan? Tom Izzo? These are the guys the Bruins need, but none of them are attainable. But maybe the Bruins should have thought of that before sending Howland packing. This entry was posted in UCLA on March 28, 2013 by omzzzzz.